To cheer myself up this week and to spend some vouchers I decided to take a well deserved shopping trip and I managed to get myself a few new things that I thought I would share with you. Hat - River Island £22.99 I jumped on the band wagon and got myself one of these beauties. I don't go anywhere nice enough to wear it but I adore the style so so much and I never want to take it off my head. It was £23 which is a lot more than I would normally pay for a hat but River Island had annoyed me already because I couldn't get the boots that I wanted so I just splurged and got the hat. 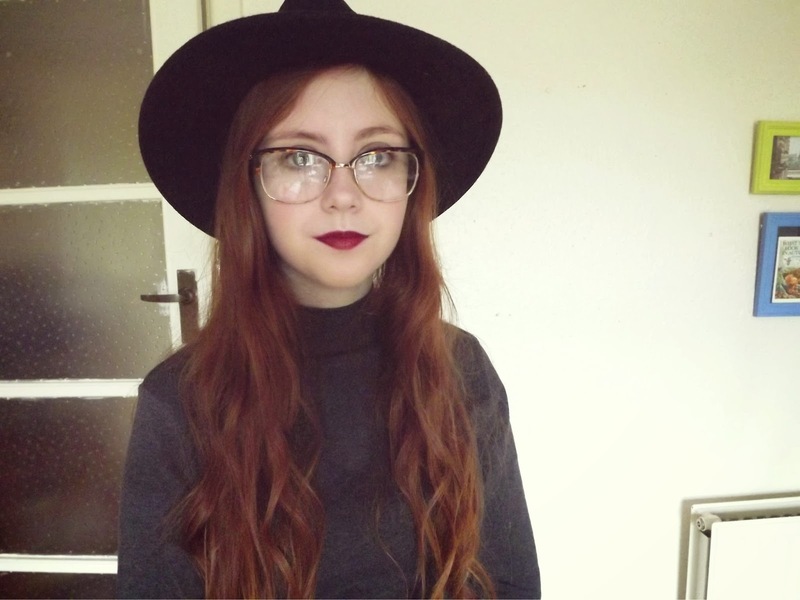 I find something witchy about it - just call me Sabrina. 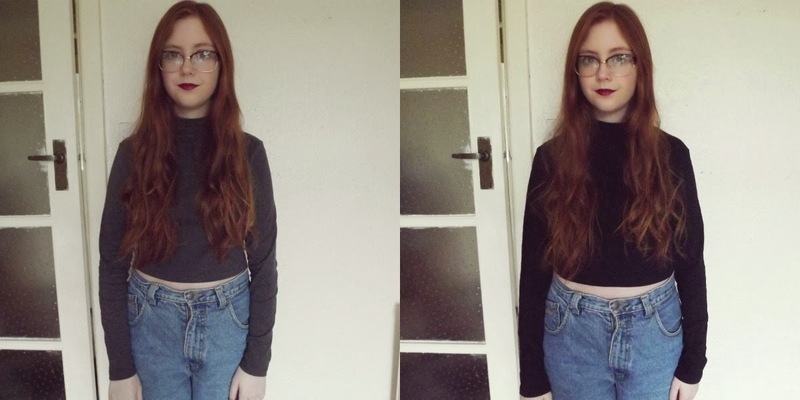 Polar Neck Crop Jumpers - Primark £2 (sale) - I have been after a polar neck jumper or two for a while but whenever I find one I tell myself that I wont be winter for long and then when I get home I realise how dumb I was for thinking that. Finally I found these for super duper cheap in Primark and they are so comfy. The fact that they're cropped means I will be able to wear them into the spring as well. However I did something really silly - I cut a hole in the grey one when cutting out the label but luckily I can sew - phew! 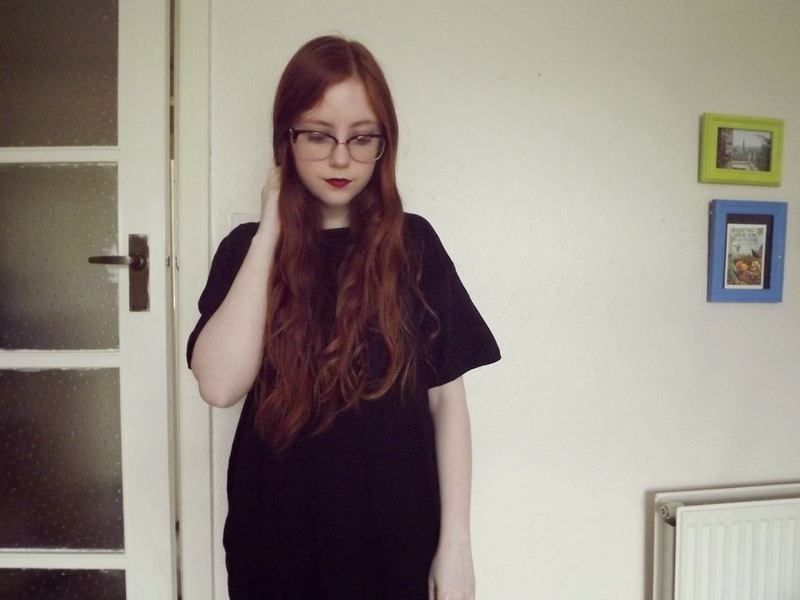 Oversized tee - Primark £2.50 (men's) - Primark logic is so sneaky. In the women's section they were selling oversized t-shirts that said 'I <3 my boyfriend's tee' on the label - so basically a women's oversized t-shirt that makes it look like it's your boyfriends - for £3. However if you just go to the men's section, the t-shirts that are so much nicer and will actually look properly like your boyfriend's tee were a whole 50p cheaper. I got this in a size L because they all looked quite small and I wanted it to be properly oversized and it's so soft and comfy , I can tell I will be living in it. So these are just a few new additions to my wardrobe. I will be doing another post sharing the beauty products I bought too. Have you bought anything new recently? 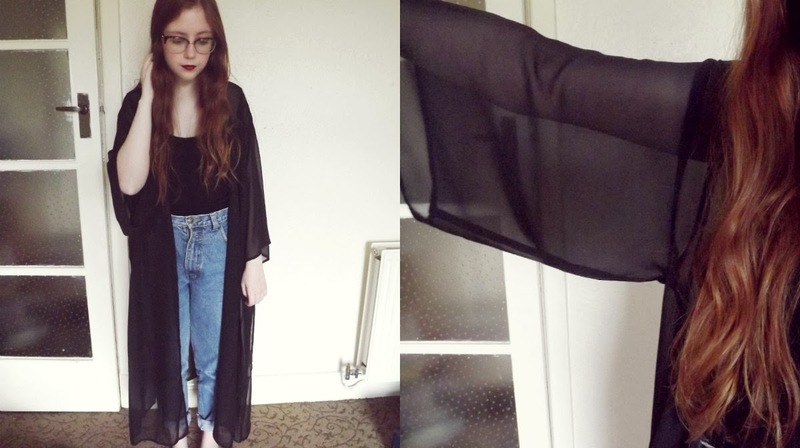 Love the sheer kimono jacket, such a bargain!